Some vegetables are hard to eat, no matter how health-conscious you might be. Hardly anyone professes kale or collards to be their favourite foods. Perhaps due to the bitterness of these and other vegetables, people generally do not eat enough vegetables. We also know that in general, many people do not get enough calcium in their diets. A few years ago, researchers in Philadelphia came up with an interesting hypothesis: what if it is the calcium in them that gives vegetables a bitter taste? To test their theory, they dug up data from a previous study that had asked participants to rank certain vegetables based on bitterness. They then looked up how much calcium each of these vegetables contained. Armed with both sets of information – vegetable bitterness score and vegetable calcium content – they ran some statistical tests to see if the two were related. They discovered that their hypothesis was true: there was a strong positive relationship between the amount of calcium contained in 24 vegetables and their bitterness rating. 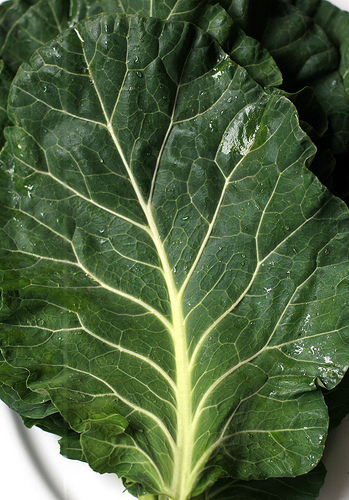 Vegetables such as collards and kale, which ranked high in bitterness, also had high amounts of calcium in them. But keep in mind, this information alone does not prove causation, i.e. the analysis only showed that vegetable bitterness and calcium content were related, but this did not mean that calcium caused the bitterness in the vegetables. Nonetheless, these results raise an intriguing question: might there be a receptor on our tongue that actually ‘tastes’ calcium, similar to other receptors on our tongue that taste sweetness, sourness, salty, bitterness, and savoury (umami)? Turns out there is! Find out in our next post the experiments that led to the discovery of T1R3, the human calcium taste receptor.